Be the first to share your favorite memory, photo or story of Kirstie. This memorial page is dedicated for family, friends and future generations to celebrate the life of their loved one. 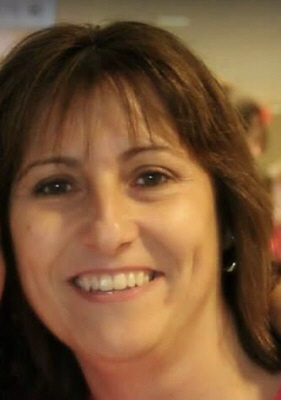 Kirstie Moya Tindale, 49, of Tulsa, OK, passed away Wednesday, April 3, 2019. She was born in Ruislip Manor, England on April 25, 1969 to John and Moya Tindale. Kirstie is preceded in death by her mother, Moya Bellak and her grandmother, Eileen Stiff. She is survived by her wife, Tracy Garrison, of Tulsa; son, Thrasher Garrison, and their fur babies,Bryn,Rue, and Stitch. She is also survived by her father, John Tindale of Pinner, England; sister, Louise Lazarus of Steeple Ashton, England; brother in law, Matthew Morse and wife Carri of Aurora, Co; nephews, Carson Morse & Eben Lazarus; nieces, Rosie Morse, Arwen Lazarus, and Kesia Lazerus. Kirstie is also survived by many close friends, with special mention of her best friend of many years, Stephanie Bayhylle. She was also blessed to have two earthly angels by her side throughout her illness, Claudette Harris and Rachel Burnette. Their love and presence has been nothing short of amazing, and will never be forgotten by Kirstie’s family. Although her life was too short, Kirstie did not lead an average life. Kirstie moved to the United States in 1994 to attend University to become a paramedic. Once she had her paramedic license, she quickly realized she didn’t want to just drop the patients off at the ER for someone else to work on, so she enrolled in Rogers State University to get her Associate’s Degree in Nursing. She fell in love with emergency nursing when she started working for the Trauma Emergency Department at Saint Francis Hospital in 2001 as a “baby nurse”. In 2003, Kirstie graduated from the University of Oklahoma with distinction with her Bachelors of Science degree in Nursing. In 2004, she became the Clinical Coordinator/Educational Instructor for the TEC, and then was promoted to Clinical Manager in 2006. Kirstie served her emergency department patients and staff with efficiency, kindness, compassion, and a sense of humor. She relentlessly pursued providing excellent care to all her patients, and was a passionate advocate for her patients and her staff. She was so proud of her staff for all of their accomplishments both in the TEC and beyond. Kirstie met Tracy, the love of her life 19 years ago. They didn’t know on that first date that their love story would be an inspiration to everyone that knew them. They encouraged each other through the rough spots, they celebrated victories when given the chance, and through all of life’s ups and downs they continued to love one another. All of those who got to witness their love consider it a blessing. Kirstie was passionate about cooking. She loved to create new dishes and have friends over to enjoy them. Her friends and family raved over how delicious everything was…. well…. except for when she tried to toast bread in the oven…. the first couple of batches were often burnt because she would be too busy talking, and forget. Her love of gardening began in early childhood when her dad built her a little green house. She was well known for her green thumb, and her ability to get anything to grow. She never met a flower or plant that she didn’t love. She also enjoyed making crafts, such as fairy gardens, painting snowmen, and lanterns. A party to celebrate her life will be held on April 14th from 5pm-9pm at the Double Tree Hotel – Warren Place. The Kirstie Tindale Memorial Fund has been established at Bank of Oklahoma, account # 312905235 to provide scholarships for nursing students. To send flowers or a remembrance gift to the family of Kirstie Moya Tindale, please visit our Tribute Store. Double Tree Hotel – Warren Place. "Email Address" would like to share the life celebration of Kirstie Moya Tindale. Click on the "link" to go to share a favorite memory or leave a condolence message for the family.